Lot of statements appeared recently that Phantom 5 could have optional camera with removable lenses. Thing seems to be true. Great if it record 10bits 4:2:2 and Raw. With such a small sensor, that's not a huge surprise. I'd like that a lot - it'd be neat to have a consumer/prosumer drone which isn't always locked into shooting with a wide angle lens. I hope this is released soon, looking for a new drone for an upcoming travel show season. Have gone from Inspire to Mavic Pro portability and ease reasons, would be willing to go up to Phantom size for IQ. @flash - RAW to microSD? That'll be the day. 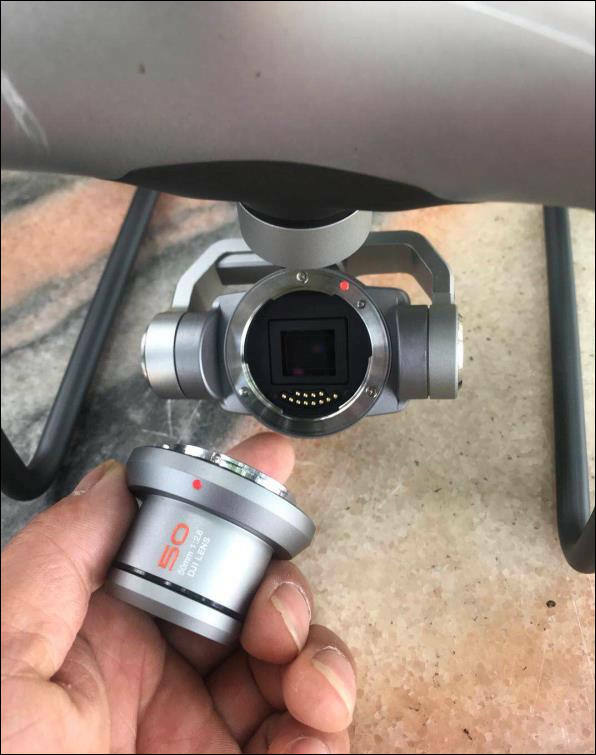 The Phantom 4 drone with interchangeable lenses sighted in some online publications is not a DJI product for public sale. To clarify, this was a modified Phantom 4 Pro drone designed for an enterprise client to serve specific application needs. For me it seems like they try water. Yup - this was flushed out a few weeks back. The twitter user linked to those photos is known for trying to pull a fast one. Did the same thing with a supposed mavic pro 2. 50mm on that camera and copter makes no sense really if you stop and think about. 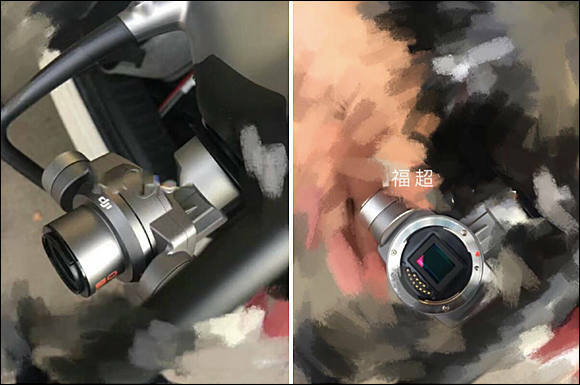 The stabilization of the lens on the current P4 pro already has issues at 24mm. This would likely only be suitable for stills (i.e. inspection work) at longer focal lengths. 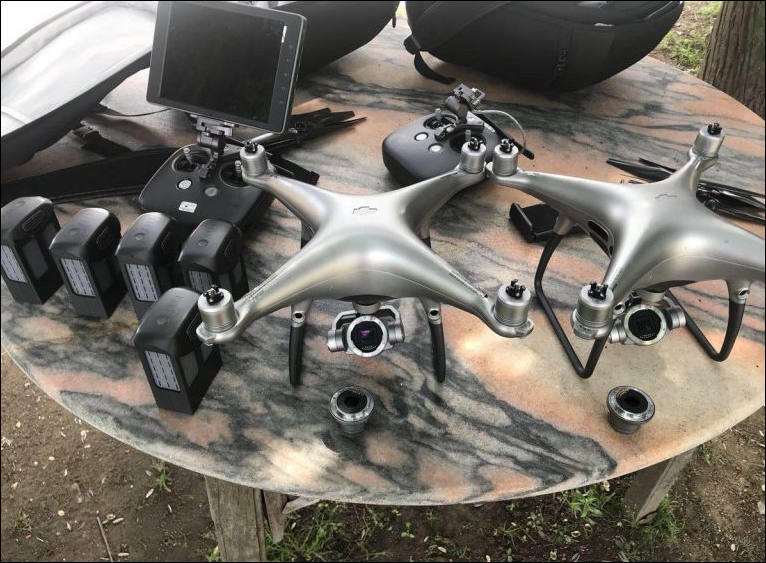 "To clarify, this was a modified Phantom 4 Pro drone designed for an enterprise client to serve specific application needs."